There is some soul of goodness in things evil, / Would men observingly distil it out. Period drama is one of my favourite genres of film and television. When I was in graduate school I had a group of friends that would get together on Sunday evenings to watch fare of the Brideshead Revisited and Merchant Ivory variety, though we would sometimes branch out to Ingmar Bergman or other “haut” cinema. 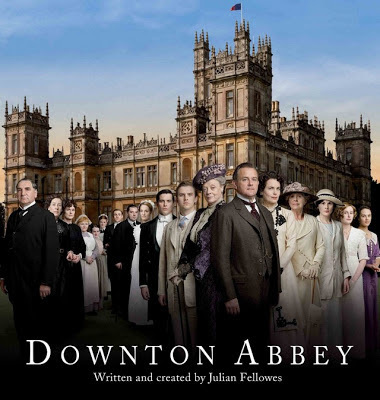 That being said, I am never up-to-date on the latest culture even when it comes to this genre, and it was only earlier this year that I began watching episodes of the wildly popular Downton Abbey television series. I was sceptical at first that it may be over-rated, but quickly discovered that the accolades are well-deserved. It is a very fine production. A Jesuit companion who recently lent me his library copy of the second season (which, sadly, I had to return only a couple of episodes in) commented to me that the show’s strength is its depiction of human nobility. Each of the characters, whether “upstairs” or “downstairs”, has an opportunity to behave nobly, and, no matter how small the action itself, to do something great. I think this is a real insight. Indeed, I might go a bit deeper and say that it shows us something about human goodness. What do I mean by this? Well, the best answer is to be gotten by watching the series itself. Good art shows us what is otherwise difficult to explain. But perhaps I can sketch an answer, beginning by stating what I do not mean. Julian Fellowes, the series' creator and one of its writers, has not given us characters that are “good” in the sense that they are flawless. On the contrary, the occupants of Downton Abbey can be petty, envious, querulous, ambitious and mean-spirited. They often betray one another, they go behind others’ backs, they gossip, lie and cheat. There are cliques and rivalries. In short, the characters are quite ordinary human beings with quite ordinary vices—and ordinary does not mean that they are not nasty vices, for those of us who are ordinary know how nasty we can ordinarily be. And yet, like real people, Fellowes’ characters can and do transcend their flaws. They are capable of moving beyond their prejudices when new situations arise. The Edwardian country estate of Downton Abbey is a perfect setting for bringing this out. There are a multitude of rules, formalities, customs and courtesies that are continually disrupted and challenged. When the Great War breaks out and the world is turned upside-down, all the comfortable habits and well-established patterns of life are thrown akilter. In these situations, the characters can react either with authenticity by adapting to the change as best as they can, or with cowardice. Sometimes they choose the latter, but more often the former. Most of the time, they act with nobility, regardless of rank. Though they have vices, they are not defined by them: at heart, they are good, but it is up to them to choose to live this goodness. The portrayal of this radical freedom to choose or reject one’s inherent goodness is one of the geniuses of the show. Goodness is something proper and essential to man, but he does not automatically become morally good: he must enact it. This is a very Catholic outlook. Perhaps not by coincidence, Fellowes himself is a Catholic. Consciously or unconsciously, he has presented us with characters who are sinners but still God’s good creatures. One character in particular come to mind—and he is one of the nastiest. Thomas Barrow is a footman in the house who is well-known for insulting almost everyone, taking advantage of junior servants, manipulating his superiors and stealing. There seems to be little of redeeming value in him. And yet gradually and subtly we are shown that there is a man beneath the jaded cynic. His outward pride and scorn mask an inner cowardice that he is ashamed of. He harbours deep feelings of rejection, secrecy and loneliness because of his homosexuality. Beneath the tough exterior is a frightened boy. I am far from being up-to-date on the series, but so far Thomas has made cowardly and selfish choices. Even if his interior life makes his actions understandable, his character is such that his personal difficulties do not make his choices excusable. In other words, he is capable of goodness but continually rejects it. And yet, goodness always remains there to be embraced … and who knows what future episodes will bring? It is a serious thing to live in a society of possible gods and goddesses, to remember that the dullest and most uninteresting person you talk to may one day be a creature which, if you saw it now, you would be strongly tempted to worship, or else a horror and a corruption such as you now meet, if at all, only in a nightmare. All day long we are, in some degree, helping each other to one or other of these destinations. … It is immortals whom we joke with, work with, marry, snub, and exploit—immortal horrors or everlasting splendours. The characters of Downton Abbey are fictitious. They will not become gods or demons. But their dramas are true to real life, and they remind us of our own inherent goodness and the awesome choices that it entails. 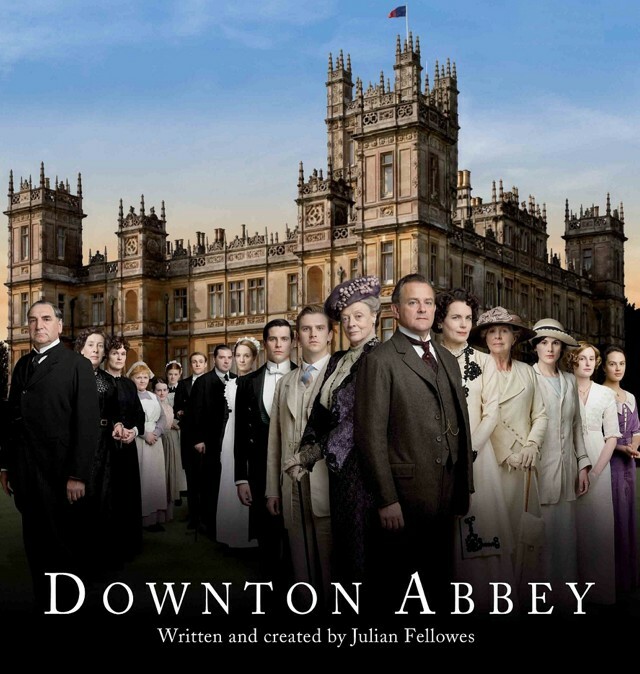 Postscript: For those who would like to learn a bit more about Julian Fellowes, creator of Downton Abbey, he was recently interviewed on BBC Radio 3. He discusses his religious background, his own personal faith and his career.